When one does not profess Jesus Christ – I recall the phrase of Leon Bloy – “Whoever does not pray to God, prays to the devil.” When one does not profess Jesus Christ, one professes the worldliness of the devil. Fr. Wade mentioned this in his EWTN homily today, and it struck me as an interesting jab at the contemporary “Interfaith” movement, as well as contrasting some of the other quotations from our new Holy Father that have made bigger headlines (i.e., his needlessly “controversial” statement that some atheists might make it to Heaven based upon their personal consciences). Pope Francis’s recent addition to the Roman Canon, adding the name of St. Joseph to Eucharistic Prayers 2-4, demonstrates how the changes to the liturgy *after* Vatican II were not what Bl. John XXIII intended. 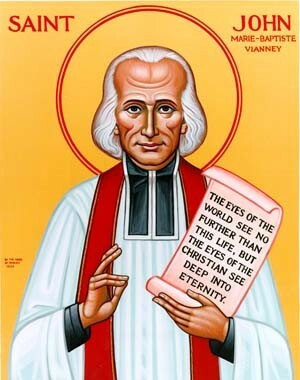 The reason the “traditional” Missal is the 1962 Missal is that the very first change of Vatican II was the addition fo St. Joseph’s name to the Canon to begin with, the first change to the Canon since Trent. Then, as the liturgy written by Rembert Weakland & co. came about, it cut various specific names of Saints from the liturgy (i.e., in the Confiteor) to *downplay* saints. This, while it’s going to rankle some feathers over the “need” to re-translate and re-publish, is a step in the right direction. 1 When the LORD was about to take Elijah up to heaven in a whirlwind, he and Elisha were on their way from Gilgal. 2 “Stay here, please,” Elijah said to Elisha. “The LORD has sent me on to Bethel.” “As the LORD lives, and as you yourself live,” Elisha replied, “I will not leave you.” So they went down to Bethel, 3 where the guild prophets went out to Elisha and asked him, “Do you know that the LORD will take your master from over you today?” “Yes, I know it,” he replied. “Keep still.” 4 Then Elijah said to him, “Stay here, please, Elisha, for the LORD has sent me on to Jericho.” “As the LORD lives, and as you yourself live,” Elisha replied, “I will not leave you.” 5 They went on to Jericho, where the guild prophets approached Elisha and asked him, “Do you know that the LORD will take your master from over you today?” “Yes, I know it,” he replied. “Keep still.” 6 Elijah said to Elisha, “Please stay here; the LORD has sent me on to the Jordan.” “As the LORD lives, and as you yourself live,” Elisha replied, “I will not leave you.” And so the two went on together. 7 Fifty of the guild prophets followed, and when the two stopped at the Jordan, stood facing them at a distance. 8 Elijah took his mantle, rolled it up and struck the water, which divided, and both crossed over on dry ground. 9 When they had crossed over, Elijah said to Elisha, “Ask for whatever I may do for you, before I am taken from you.” Elisha answered, “May I receive a double portion of your spirit.” 10 “You have asked something that is not easy,” he replied. “Still, if you see me taken up from you, your wish will be granted; otherwise not.” 11 As they walked on conversing, a flaming chariot and flaming horses came between them, and Elijah went up to heaven in a whirlwind. 12 When Elisha saw it happen he cried out, “My father! my father! Israel’s chariots and drivers!” But when he could no longer see him, Elisha gripped his own garment and tore it in two. 13 Then he picked up Elijah’s mantle which had fallen from him, and went back and stood at the bank of the Jordan. 14 Wielding the mantle which had fallen from Elijah, he struck the water in his turn and said, “Where is the LORD, the God of Elijah?” When Elisha struck the water it divided and he crossed over. 15 The guild prophets in Jericho, who were on the other side, saw him and said, “The spirit of Elijah rests on Elisha.” They went to meet him, bowing to the ground before him. And one that I have to say I identify with. In addition, my attitude toward Public Figures is much the same. I tend not to see them as human beings, but as sort of semi-fictional characters. People who don’t fully exist but who are In the News and therefore symbols or representatives of ideas. The upshot is this: Irony of ironies, a friend asked me today if I had contacted Lila Rose. I said that I had contacted her organization–recently. He said, “Why didn’t you contact her at the start of the contretemps?” I had no answer. It had never occurred to me. Those familiar with the history of the controversy will recall that when it erupted, I basically was of the school that saw no big issue and said pretty much what most LA defenders say. It wasn’t till various readers, Dawn Eden among them, challenged me and I could not find a way to argue with them that I changed me mind. Honest, you can go back to the Register blog archives and watch the progression of my change of mind in February 2011. Anyway, as the conversation moved along, I was basically thinking on the fly and in public and as opposition to the change of mind increased, it never occurred to me to contact Lila Rose because, well, my argument was primarily with people talking about her and she was a public figure acting publicly like, say, a movie star or politician or philanthopist in the headlines. And so, instead of doing what Matthew 18 says and going privately and speaking in love, I simply treated her as though she wasn’t so much a person as a thing–a Figure in the Headlines and therefore a means to an end wherein I made some points about things I wanted to say to third parties I wanted to convince. If you are noticing a certain irony (the more accurate term is “sinful hypocrisy”) in that, so have I. Because it has been right at the heart of my complaint about Live Action’s tactics. Physician, heal thyself. Then why does Revelation 20:13 refer to “Death and Hades” as two separate entities? And why does it speak of martyrs and those who never accepted the “Mark of the Beast” going straight to Heaven while the other dead have to wait? On this feast of Corpus Christi, we should do penance for all the sacrilegious communions that take place, particularly in this country, my own included. 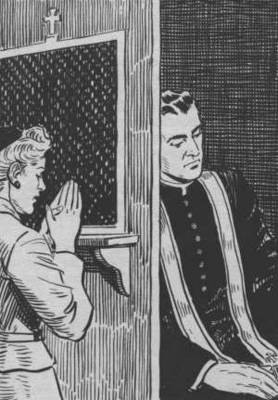 Every Catholic should *at least* go to Confession once a month (the concept of “obligation to go once a year” is based upon the Easter Communion obligation, and the presumption that reception of Communion is preceded by Confession, particularly from those who’ve been away). As Mother Angelica would say, we take baths or showers every day, even if we’re not that dirty. It’s just spiritual hygiene, and I daresay most of us commit at least one mortal sin per month (I know I do). So please get thee to the Confessional, and make a frequent habit of it–even the Pope goes every week. Think yourself free from sin? And since there’s a Plenary Indulgence attached to studying the Catechism of the Catholic Church this year, a good place to start would be the section on the Commandments.